Cosmetic dentistry is any treatment that is used to improve the appearance of your teeth. 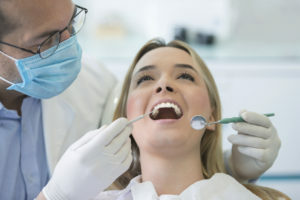 Since dental insurance is designed to promote the health and function of your teeth and gums, most plans will not cover cosmetic procedures; however, there are some exceptions. In some instances, cosmetic dentistry not only improves the aesthetics of your teeth but their health and function as well. As a result, there are times when you can use your coverage to pay for as much as 50% of the cost of certain treatments. There are other situations when your dental coverage can be used as well, such as if the damage resulted from an injury or workplace accident. Your benefits may cover a portion of the treatments that will be needed to correct the problem, like if a tooth was knocked out or broken. In addition, a treatment that is deemed medically necessary to improve your oral or general health may be covered. What Procedures May Be Covered? Cosmetic Bonding: Generally, bonding is covered if a tooth has chipped or cracked because it is necessary to preserve its health. Bridges and Crowns: Replacing missing teeth is vital to protecting the health of any that are remaining while also preventing additional tooth loss in the future. Since the treatment will reduce your long-term costs while also improving your oral health, they may be covered. Dental Implants: In most cases, your insurance will not cover their cost, by it may pay for certain aspects of it, such as the dental crown or bone grafting. Dental Crowns: If a dental crown is needed to restore the health or function of a tooth, your insurance will cover a portion of the cost. If you are ready for an attractive smile, it is time to schedule a consultation with your dentist in Newark. While discussing your treatment plan, they will also evaluate your dental coverage to help you maximize the value of your policy to reduce any out-of-pocket expenses. Dr. Donald T. Bond provides complete dental care to create healthy, beautiful smiles. Supported by several hours of continued education, he offers many advanced services, including cosmetic dentistry. If you are ready to get the smile of your dreams, contact our office today to schedule your consultation.